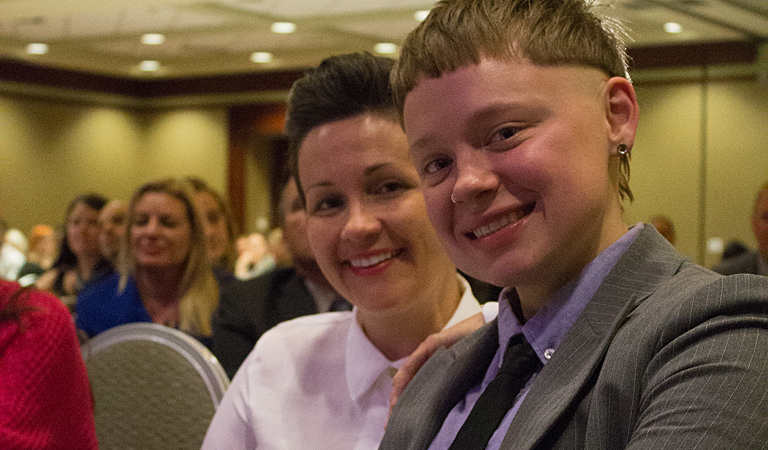 Guests Sarah Hutchison and Lo Ray are delighted to be at the 2016 Harvey Milk Celebration Dinner. 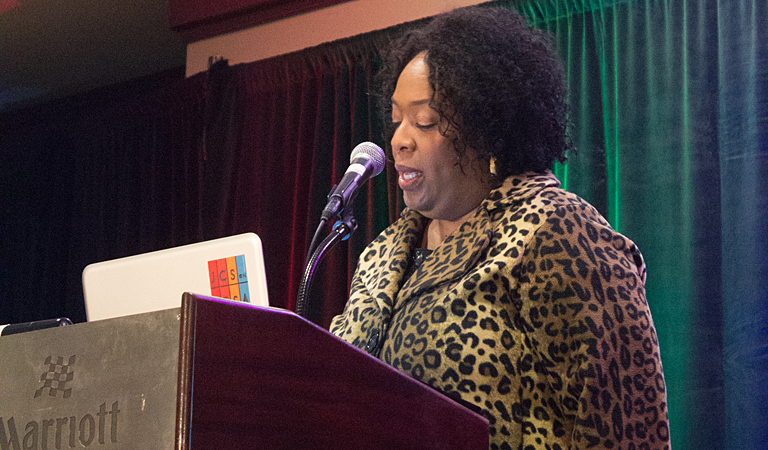 Karen Dace, Vice Chancellor for Diversity, Equity and Inclusion, speaks at the 2016 Harvey Milk Celebration Dinner. 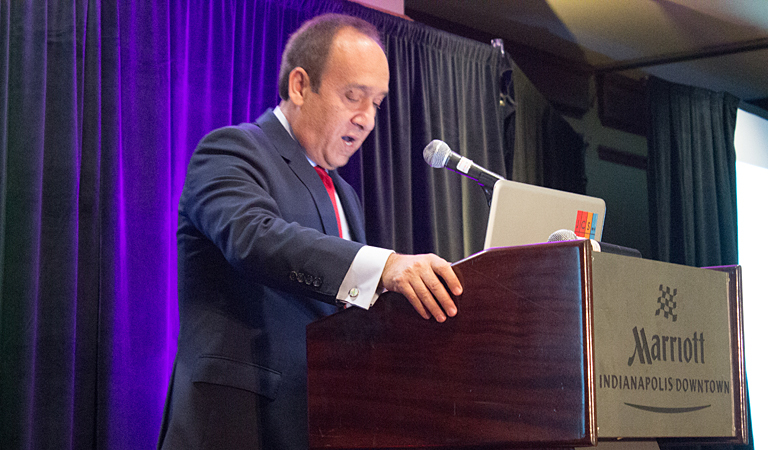 Chancellor Nasser H. Paydar delivers remarks at the 2016 Harvey Milk Celebration Dinner. IUPUI student Lo Ray speaks at the 2016 Harvey Milk Celebration Dinner. 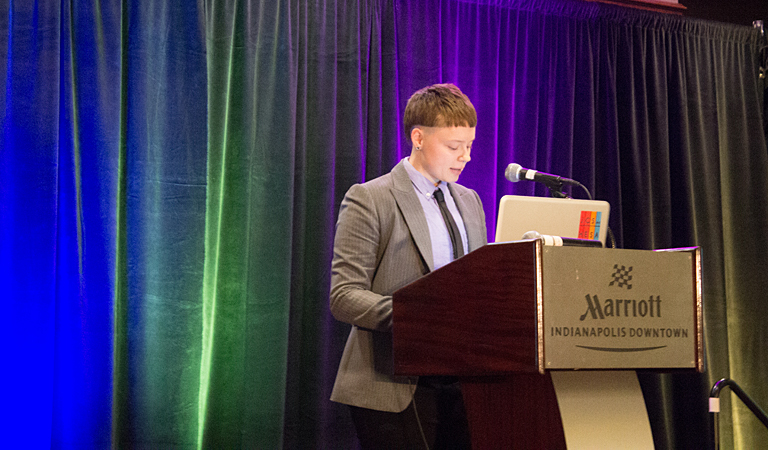 IUPUI student Elizabeth Forster announces awards at the 2016 Harvey Milk Celebration Dinner. 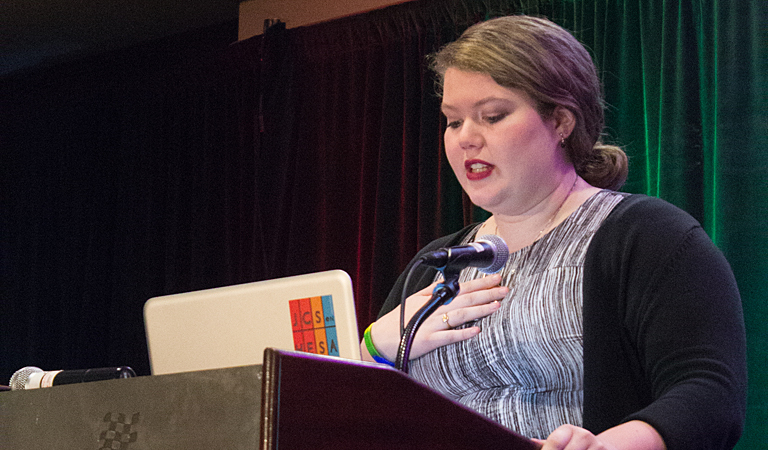 Elizabeth is also member of the executive board of the LGBTQ Student Allliance. Ms. 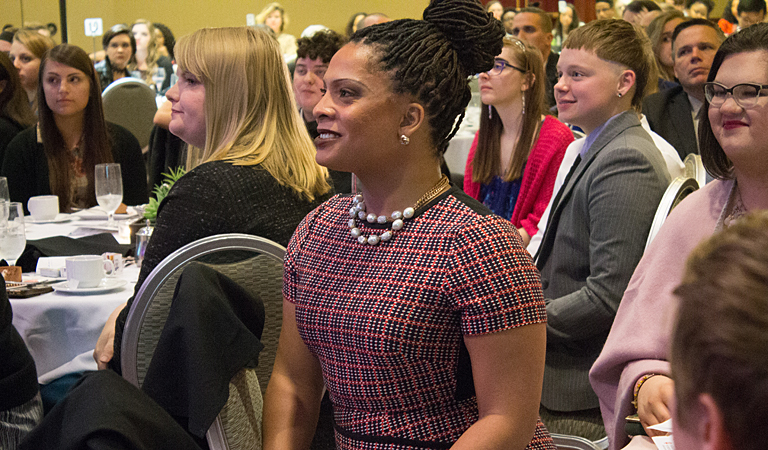 Precious Davis, award winning diversity professional and social justice facilitator, looks forward to giving her keynote speech at the 2016 Harvey Milk Celebration Dinner. Ms. 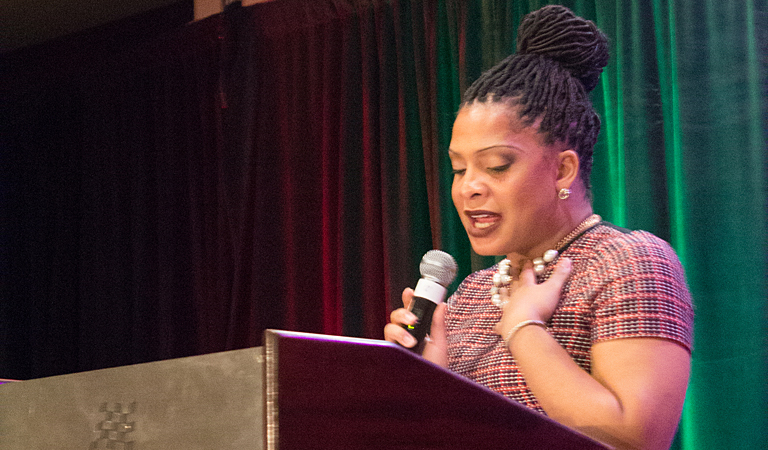 Precious Davis presents her keynote speech at the 2016 Harvey Milk Celebration Dinner. 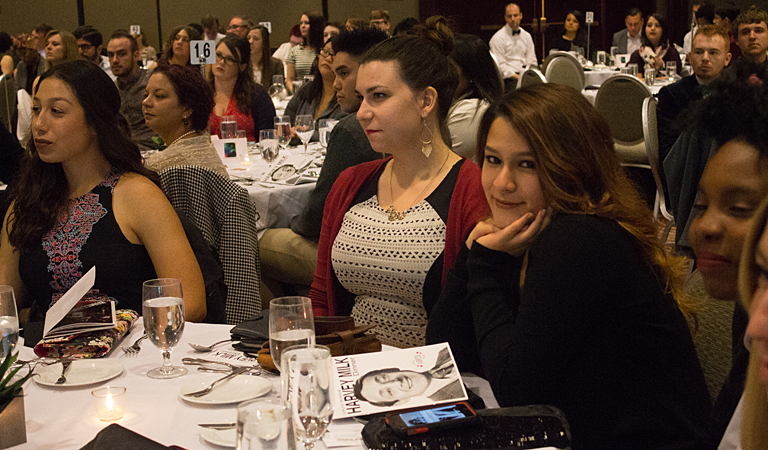 Guests appreciate remarks at the 2016 Harvey Milk Celebration Dinner. Ms. 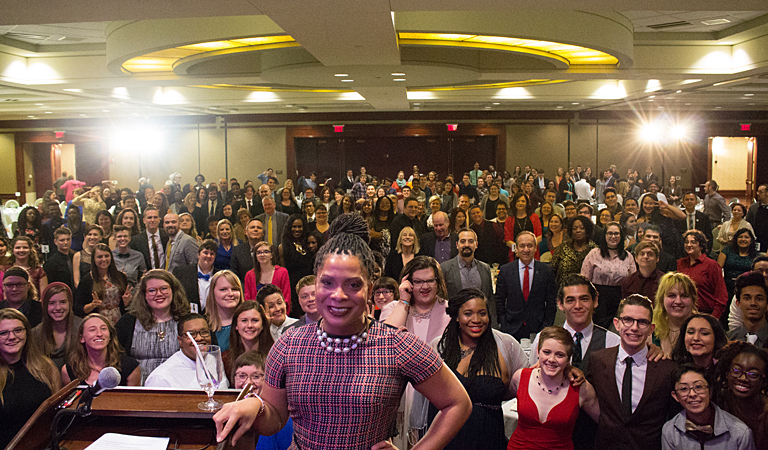 Precious Davis and guests pose for a photo at the 2016 Harvey Milk Celebration Dinner.